I have had a passion for Mustangs since I first started driving. My 1st car was an ‘89 LX hatchback 4 cylinder, 5 speed and yes, I went through MANY clutches learning to drive. I just LOVED the headlights and taillights! For me, exterior lighting can make or break a car and Ford has consistently outdone themselves with the iconic Mustang lights. I cried a river when we sold that Pony. 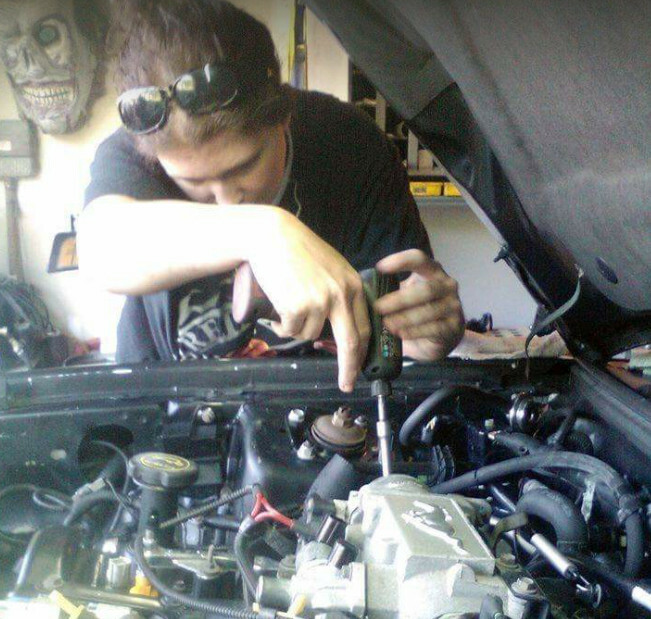 Next in line was another ‘89 LX, this time but Hubby let me graduate to a 5.0 HO, 5 speed of course, and, I was hooked on the muscle from that point on. We started a family shortly thereafter, so, unfortunately that car didn’t stay around long either. At the time I was way too young to realize what a gem of a Mustang we had and I’m not even hinting at what we traded for. I’d be too embarrassed to share that with anyone, LOL! Finally, after 20 something years of quietly dreaming about a Triple Black GT Convertible, and always believing it was just a pipe dream, God and my awesome Hubby blessed me again! Hubby brought home Mayham, a ‘01 Triple Black GT Convertible, 5 speed. He and I poured many dollars, blood, sweat, and tears in to her. Finally, she was road worthy again! She was full of dents, dings, and scratches (a few battle scars from her motor pull), but she was mine and I loved her. Then in November 2016, I met Khaos while at work at a local car dealership. She had just been traded in and I spotted her on the back lot. I knew immediately she was the one. The Hubby and I were coming up on our 20th anniversary and he ended up buying her for me as my anniversary gift (I told you Hubby is awesome)! WOW, what a gift! She is the embodiment of my Triple Black GT Convertible dream! She is one loud, mean 2011 with lots of extra goodies inside and out. 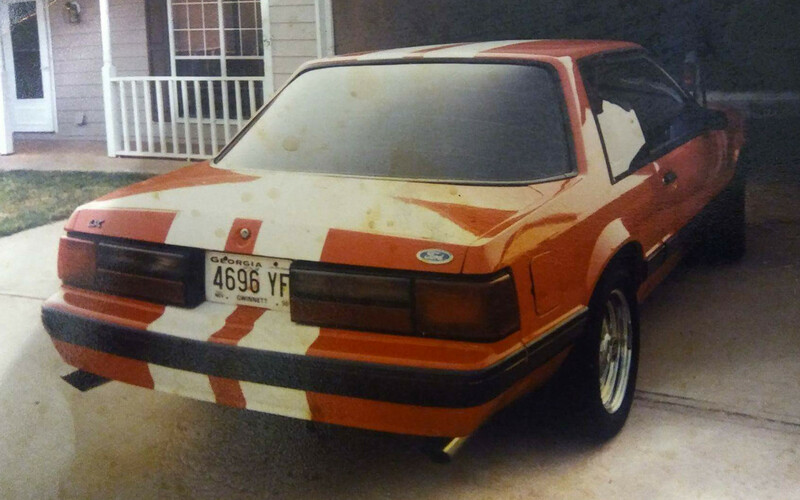 After buying this Mustang, I began attending shows and joined the MCA and my local MCA Charter club, Northeast Georgia Mustang Club. I have learned that there is a whole world of great people that have Mustang fever as bad as I do! Our sons are next in line and are already dreaming about their future Super Snakes! 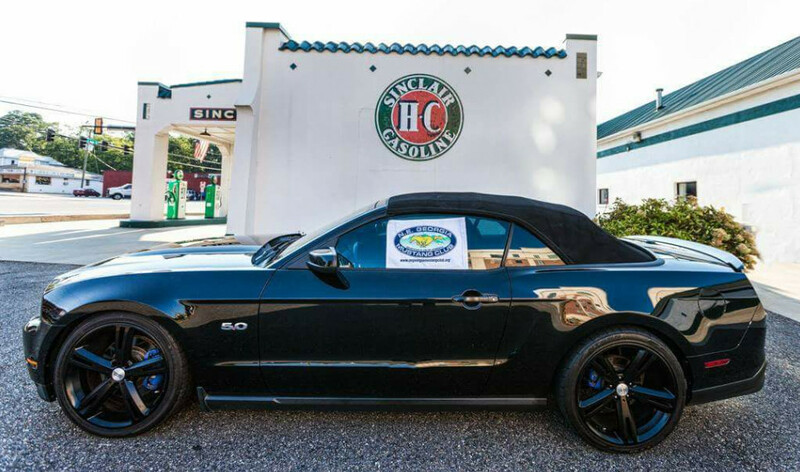 If you’re ever in the Atlanta, GA area and you see a herd of Mustangs galloping or resting, stop and say hello, our Northeast Georgia Mustang Club is active in our community and love to give back which is just part of what all these Mustang Lovers do!